Do you know where corduroy came from? How long it’s been around? Why it’s been a favourite go-to for a number of different people over a number of different periods of time? You may be surprised to know where this durable, fashionable fabric began and how it’s moved through the centuries (yes – centuries!) to become a symbol of 70s fashion that keeps getting revival after revival in a number of different ways. If you need proof, just check out Chums this season for some seriously sweet ways that corduroy is coming back in a big way this winter. Corduroy got its start in Egypt around 200 AD where it was known as a type of Fustian cloth. Originally created in Fustat near Cairo, this cloth eventually became a valuable trade item for Italian merchants and started to garner attention from Europe’s wealthy classes as well as royalty. The cotton trade was hugely important for corduroy, as the velvet-like texture meant you could get the same feel of the expensive fabric, but just in a different way and the fact that corduroy was made of several cords of cotton sewn together, with ridges between each ‘cord’ meant that the fabric was durable and could be used for outerwear for royalty, namely for horse riding and hunting purposes. In fact, corduroy’s name was first cited in the late 1700s in England where the nobles of the time likely used French terms to describe items of high quality and sophistication, literally “corde du roi” or cloth of the king, became the popular and well known term for this fabric. The name highlights its importance amongst royals throughout Europe from the medieval periods through to the 17th century when French servants wore it in their livery. Into the 18th century, corduroy became more widely accessible and a favourite for many workers who did heavy duty or dirty jobs such as those who worked outside, in chimneys or who worked with inks and paints. The durable fabric of corduroy meant that it was possible to wear it for longer periods than cotton and the thick strips or “cords” were great at absorbing moisture from inks and paints instead of letting it soak through onto skin. It also repelled dust more easily, as the fibres of the corduroy could be swept clean if they got dusty and needed washing less frequently than cotton would. Corduroy began to take off between 1950 and really got going into 1970. It gained a lot of attention in the 60s as a symbol of the hippie counterculture movement when preferred by hippies as a softer, more versatile fabric for things like skirts, jumpers and trousers. This popularity spilled over into the 70s when corduroy hit the dance floors of the discos due to its durability and style. It’s remained a popular choice ever since, especially with the advent of stretch corduroy which helps anyone of any shape fit the corduroy style. 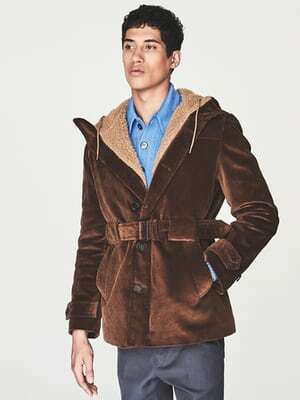 So if you’re looking for a hot new trend this year be sure to consider corduroy. The 70s are back in style this winter and for good reason. The style of the 70s has always been iconic and nostalgic, so get your hands on some cords today!